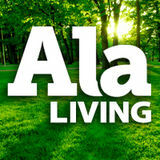 Diane B. Hale ALABAMA LIVING is delivered to some 420,000 Alabama families and businesses, which are members of 22 not-for-profit, consumer-owned, locally directed and taxpaying electric cooperatives. Subscriptions are $12 a year for individuals not subscribing through participating Alabama electric cooperatives. 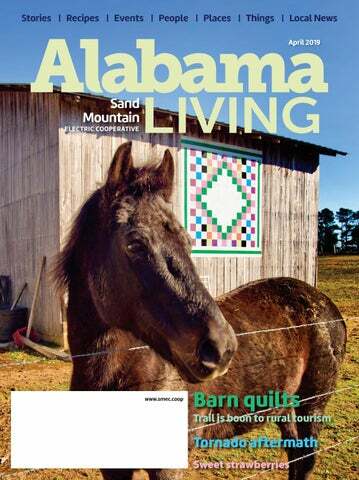 Alabama Living (USPS 029-920) is published monthly by the Alabama Rural Electric Association of Cooperatives. Periodicals postage paid at Montgomery, Alabama, and at additional mailing office. SMEC celebrates 79 years at annual meeting. Details on pages 6-8.
the greater community during severe storms and power outages. This means in times of prolonged outages, the family and their lineworker may have minimal communication and not see each other for several days. Without strong family support and understanding, this challenging job would be all the more difﬁcult. Community Commitment In our service area and across the country, electric co-op lineworkers’ mission-focused mentality of helping others often extends beyond their commitment to their work at the co-op. Lineworkers are often familiar ﬁgures in the community. They can be found coaching youth sports teams, volunteering for local charities and serving on local advisory boards. Thank You Monday, April 8 is Lineworker Appreciation Day. Given the dedication of SMEC’s lineworkers, both on and off the job, I encourage you to take a moment and acknowledge the many contributions they make to our local community. And if you see their family members in the grocery store or out and about in the town, please offer them a thank you as well. 1. These provide extra protection while lineworkers work with heavy materials that could fall near their feet. 2. This material keeps lineworkers safe from electrical hazards. 3. This protects lineworkers from head injuries and falling debris. 4. These insulated protectors keep lineworkers safe from electrical shock while working on power lines. 5. These keep debris away from lineworkersâ&#x20AC;&#x2122; eyes while on the job. All of the above names shall appear on the ballot. THIS CONSTITUTES THE OFFICIAL NOTICE NO FURTHER NOTICE WILL BE GIVEN. DeKalb County Schools Coliseum FREE Tote with USB Port While supplies last, all SMEC members registering within the times listed below may receive a tote with USB port. The tote has a zippered main compartment with interior organizational panel. Front D-ring and two slash pockets. Side water bottle pocket and adjustable shoulder strap. Convenient side USB charging port with cable to charge your portable devices. •Two day registration: Friday, April 26 10 a.m. - 5 p.m. Saturday, April 27 8 a.m. - 10 a.m. •Business Meeting Saturday, April 27 at 10 a.m. •Registered members on both days receive a copy of the co-op annual report, ballot to vote for directors, a prize ticket and a gift of appreciation while supplies last. •Six cash prize drawings will be held Saturday morning. Members registering either day are eligible and DO NOT have to be present to win these six drawings. $200 FREE ELECTRICITY PER MONTH FOR ONE YEAR Two Grand Prize drawings will be held immediately following the business meeting on Saturday. Each winner will receive $200 free electricity per month for one year. The first ticket drawn does not have to be present to win. The second ticket drawn for the same prize must be present to win. NOTICE: A member may vote only one proxy. DAVID W. JOHNSON, FOUNDER, PRESIDENT and ONLY OWNER FOR 40 YEARS!